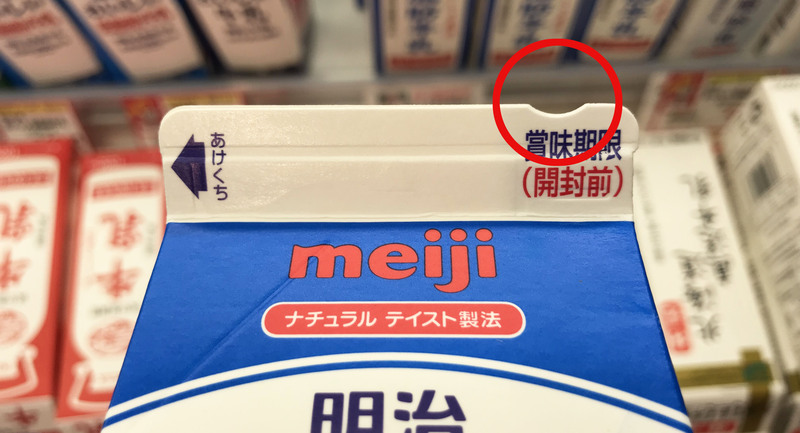 Love Japan? 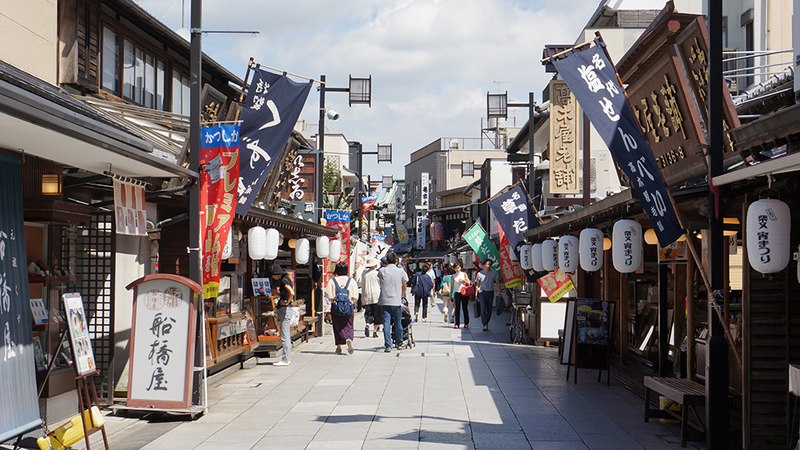 Experience the good old Japanese culture and the world of manga in Katsushika, Tokyo! 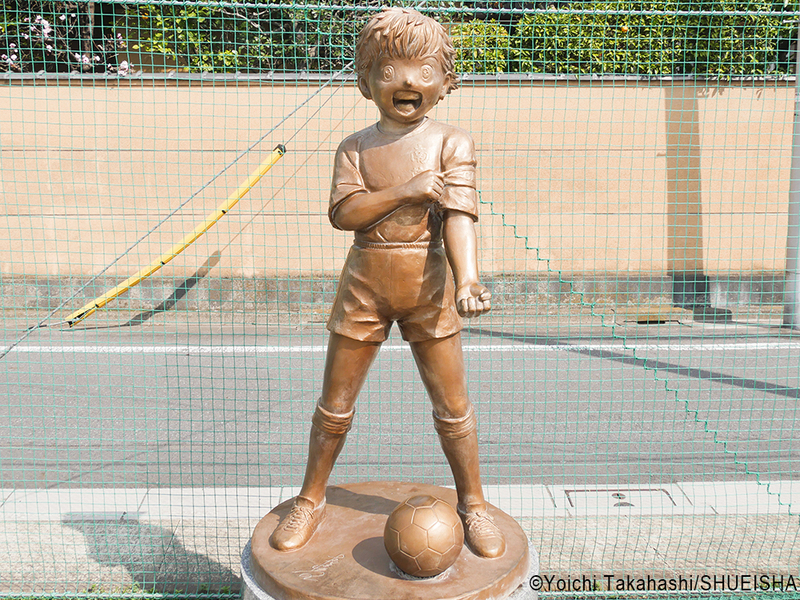 On March 18, a statue of a character from a famous manga, “Captain Tsubasa” has been unveiled at Minami Katsushika High School in Katsushika, Tokyo. 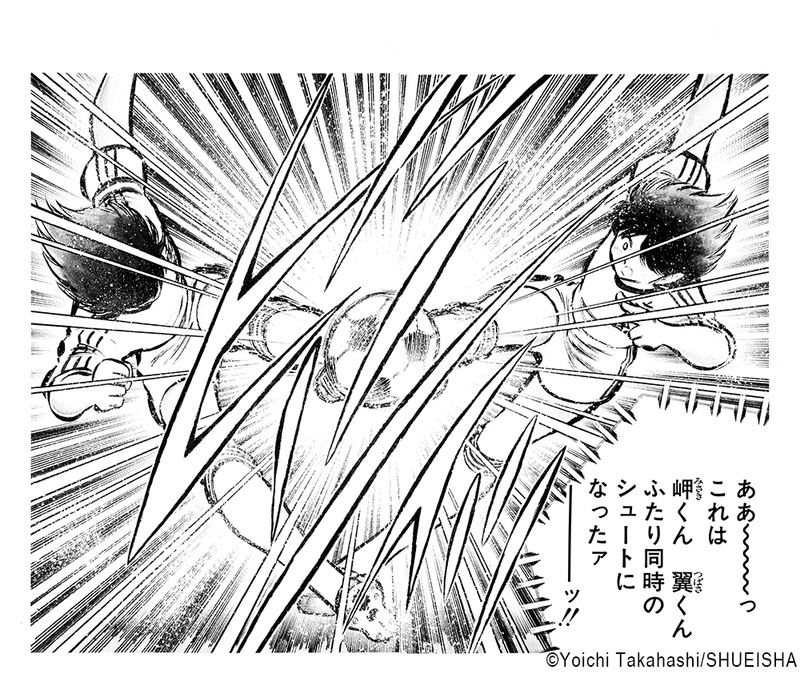 Captain Tsubasa has been so popular among young football players that many professional football players in the world claim that they were encouraged by this manga. This bronze statue captures the scene that Tsubasa Ozora, the hero of this manga, shooting his signature shot called “Twin Shot” together with Taro Misaki, one of the main characters. It reminds us of the famous scene! I bet many people have actually tried to do this shot. By the way, how do you usually take a picture of statues as a memory of your trip? Do you just take the statue alone or stand next to it? 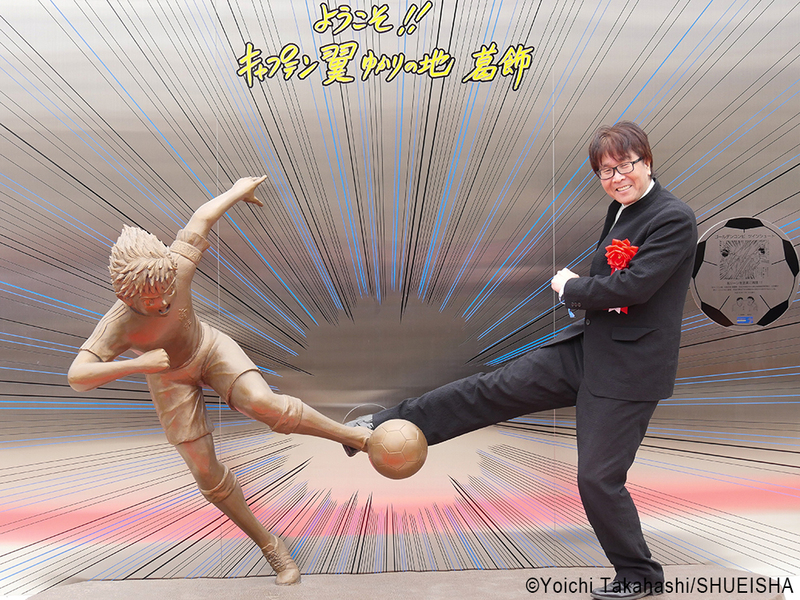 Look at Mr. Yoichi Takahashi, the author of the manga, shooting the Twin Shot with Tsubasa! This statue needs you to be Misaki and shoot with Tsubasa! You can be a part of the famous scene in the manga! In this manga, Tsubasa and his teammates live in “Nankatsu,” a fictional city in Shizuoka Prefecture. 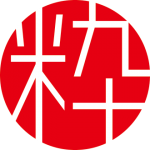 It was named after Minami Katsushika High School (Nankatsu for short), the high school in Katsushika from which the author had graduated. 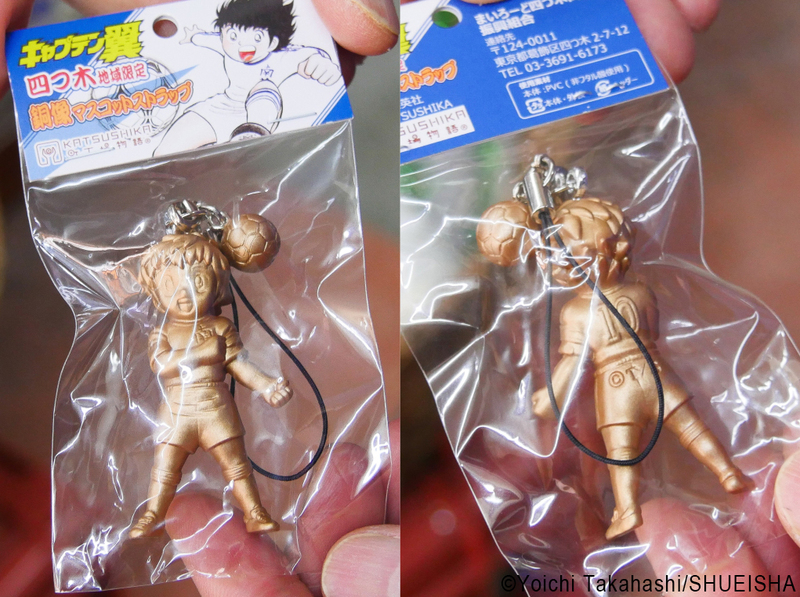 Are you a “Captain Tsubasa” fan? How about visiting bronze statues scattered around this area? 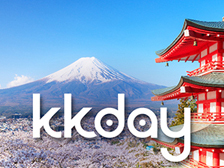 Starting from Yotsugi Station on the Keisei Line, you can visit all the statues in about one and half hours and arrive at Keisei Tateishi Station. All the statues are conveniently shown on Google Maps. It is also fun to see signboards and pennants with Tsubasa’s face everywhere in the town. Want something as a keepsake? A charm depicting the bronze statue can only be found here in Katsushika. It can be bought at many shops in the Yotsugi shopping area (540 yen a piece). Look for posters stuck on shop windows find places that sell this charm. 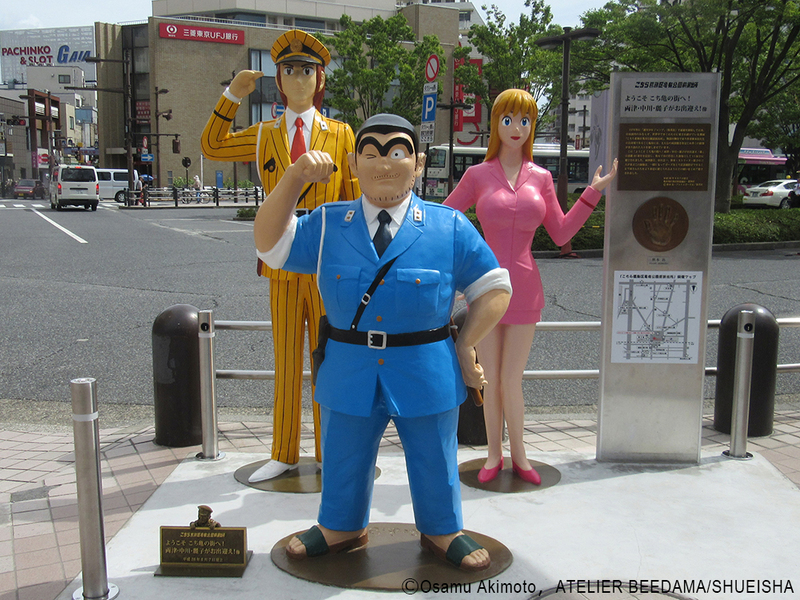 You can visit statues starting from Keisei Tateishi Station towards Yotsugi Station. When you go down the stairs of Keisei Tateishi Station, you will see a signboard of “Captain Tsubasa.” There’s another picture on the back of this signboard, so check it out when you go there! 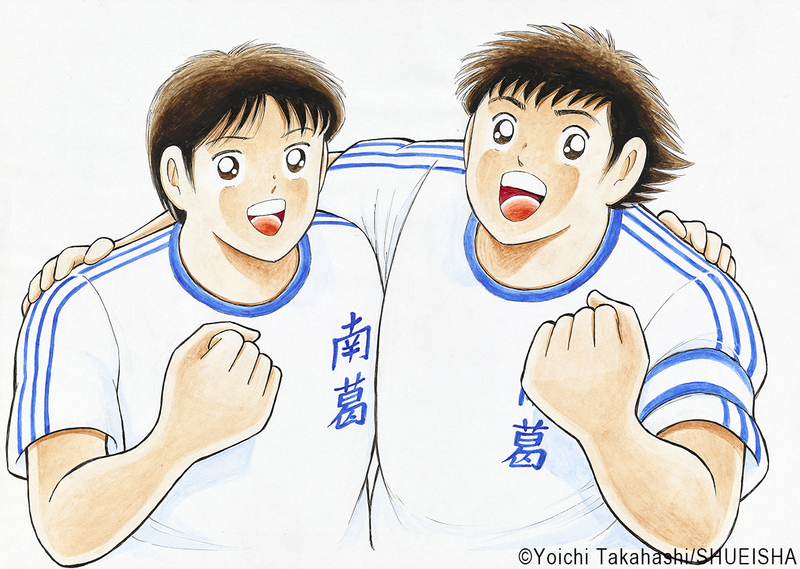 Not only “Captain Tsubasa,” but also “Kochira Katsushika-ku Kameari Koen-mae Hashutsujo,” (often shortened to KochiKame) is set in Katsushika. These two are very famous manga that everyone knows in Japan. There are 15 KochiKame statues around Kameari Station. The colored statues located in front of the station are easy to find. Why don’t you take some pictures with KochiKame members? A quick train ride will let you enjoy the charm of Katsushika more. If you like Japan, you might know the famous movie “Otoko wa Tsuraiyo.” Shibamata was the setting of this movie. The path leading from Shibamata Station to Taishakuten is selected as one of the important cultural landscapes of Japan. This path is definitely a must visit! 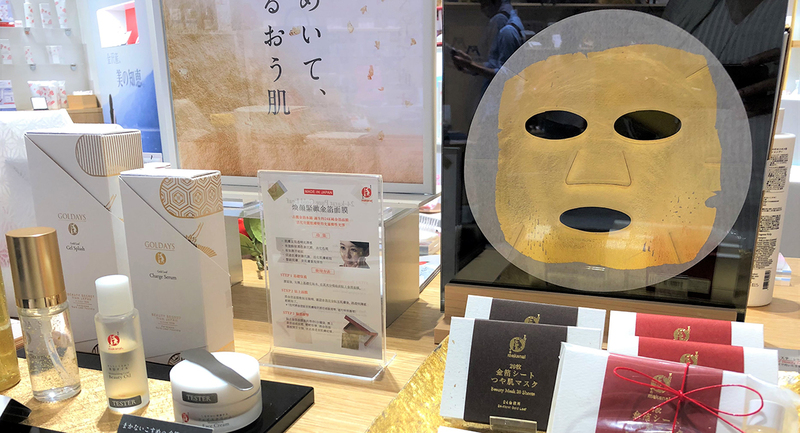 It is a lot of fun to walk around visiting many souvenir shops as well as shops selling food that you can munch on while strolling such as dango (rice dumplings), rice crackers or oden (various ingredients stewed in soy broth). As you go down the path, you’ll find a Japanese-style building called Yamamoto-tei. It is an elegant place registered as a tangible cultural property of Katsushika. 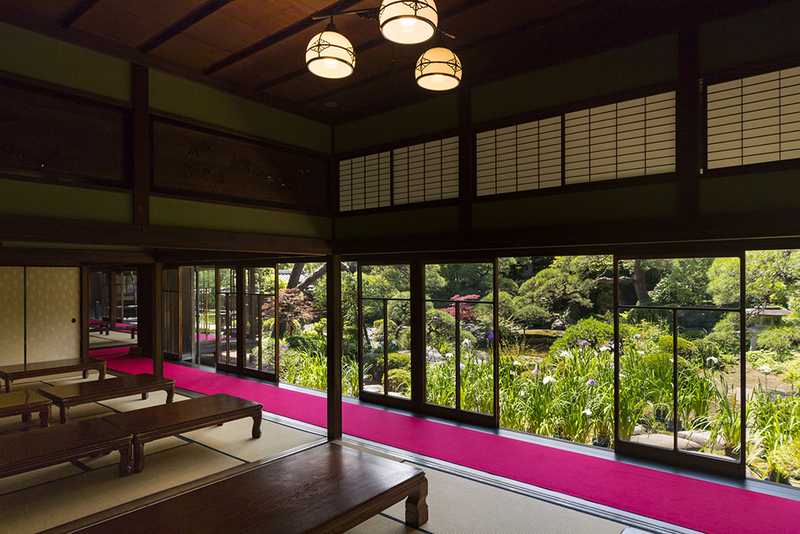 People spend a relaxing time having green tea or Zenzai (red bean soup made with azuki beans), along with the great view of the Japanese-style garden. There are many more things for you to enjoy in Katsushika. 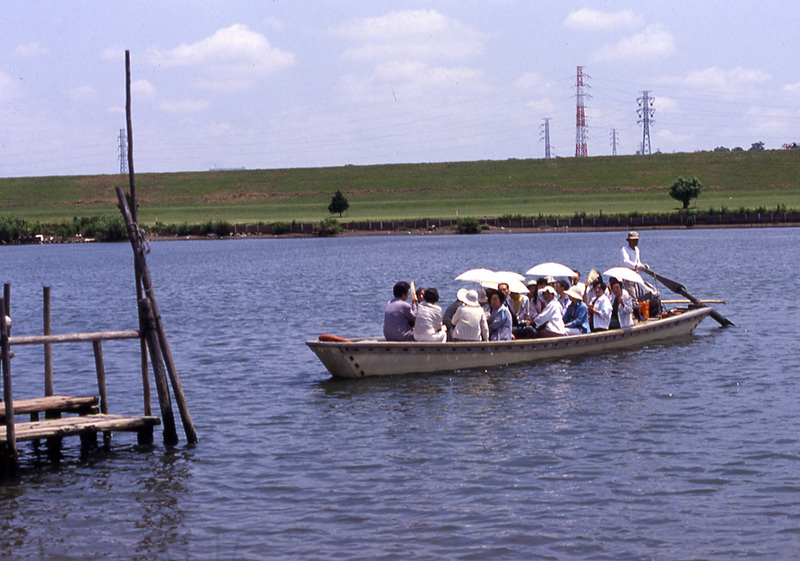 A boat connecting Shibamata in Tokyo and Chiba on the opposite bank called “Yagiri no Watashi” has a long history since the 1600s, and it is now the only old-style boat in Tokyo that takes you to Chiba. 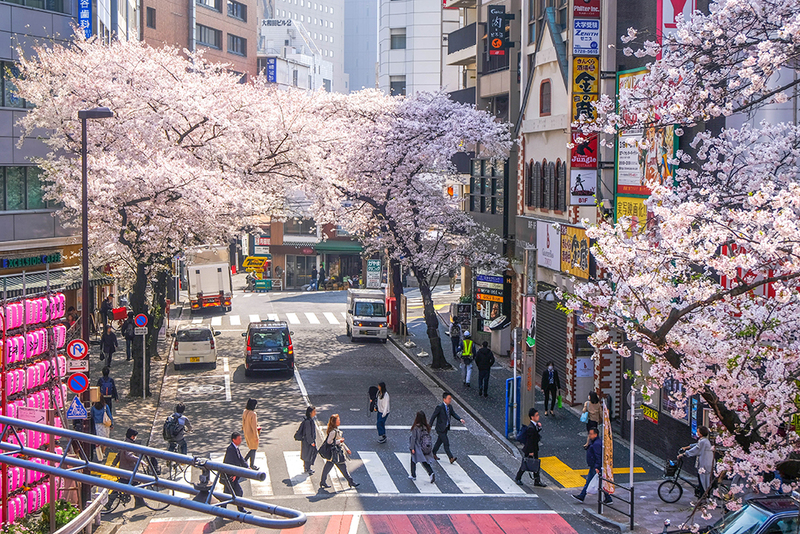 It will take you back to the old days in Japan in spite of being in the big city of Tokyo. 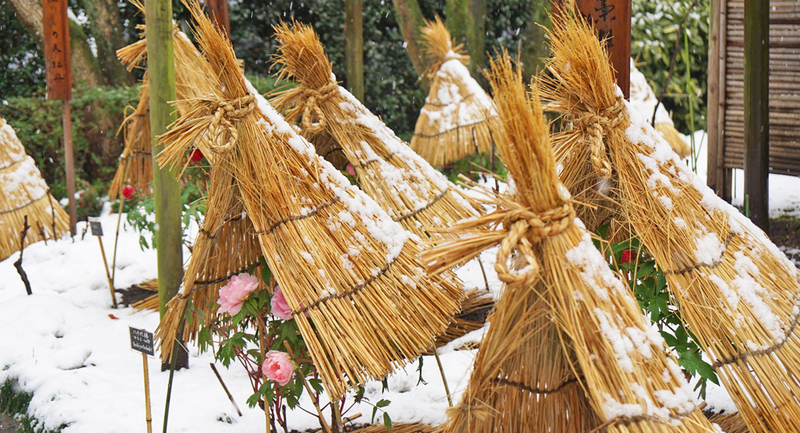 Immerse yourself in the charm of the Edo period. Katsushika is colored in a beautiful purple in the beginning to the middle of June. 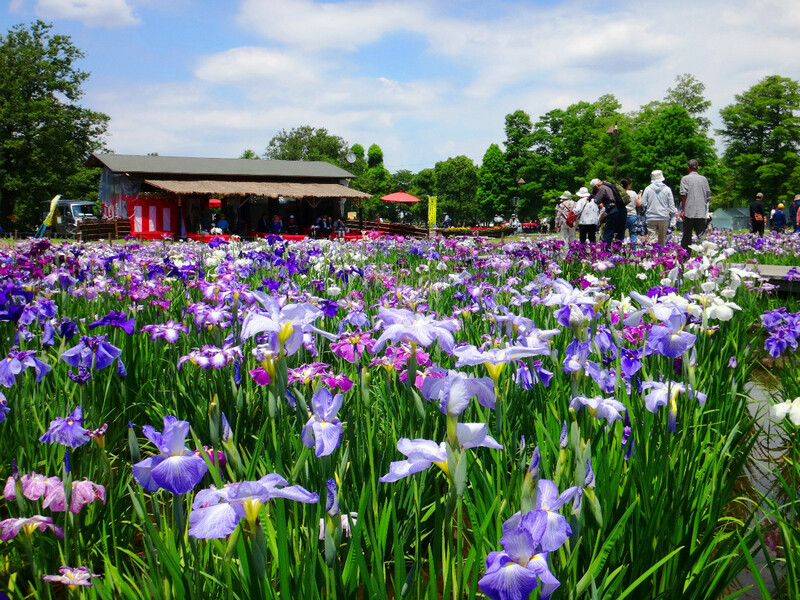 A lot of irises are seen in full bloom in Horikiri Shobu-en, a famous iris garden established in the Edo period, as well as Mizumoto Park, which boasts the largest iris garden in Tokyo. You can also see the Tokyo Skytree in the background. 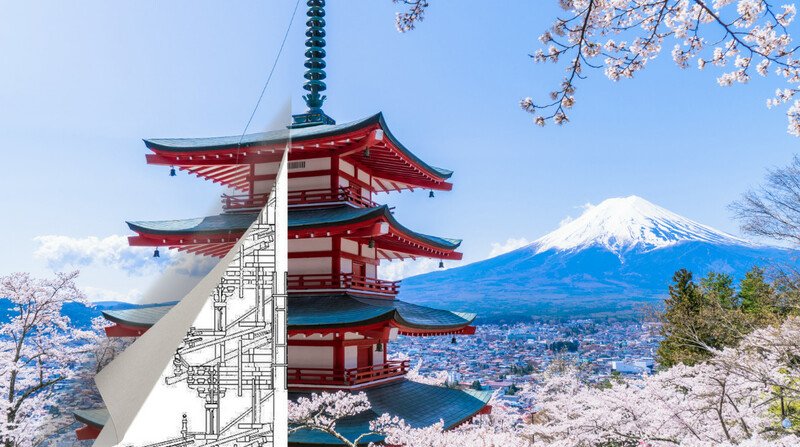 It would be great to capture the Tokyo Skytree and beautiful irises in one photo! 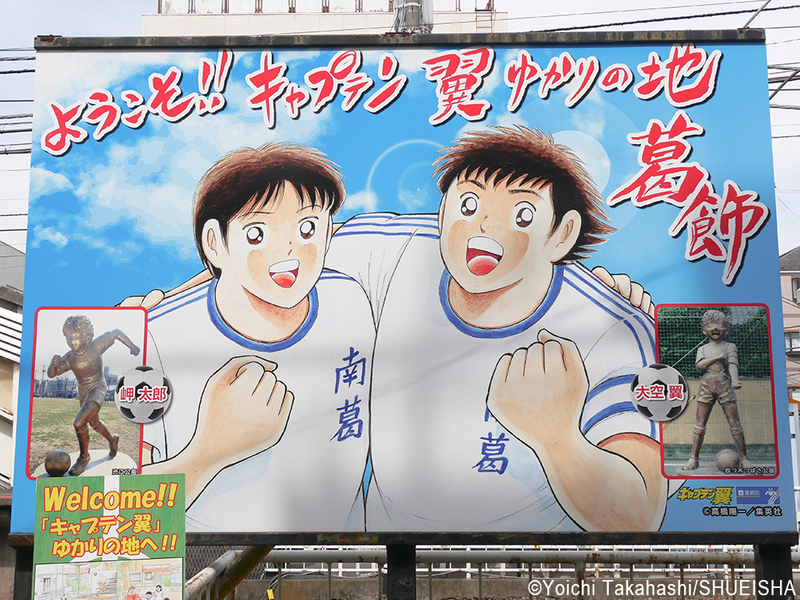 The birthplace of the famous manga, Captain Tsubasa, Katsushika is the hometown of manga or movies in Tokyo. On top of its charming atmosphere shown in many manga and movies, there are many more attractive things. 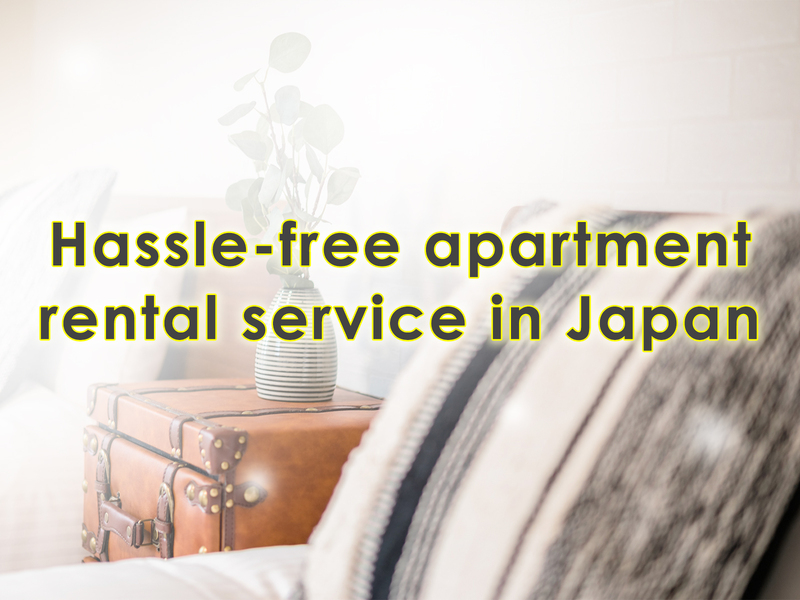 We couldn’t introduce all of them here, but we assure you will find something new, something original here in Katsushika. If you do visit, please feel free to provide your comments on the IKIDANE NIPPON Facebook page!